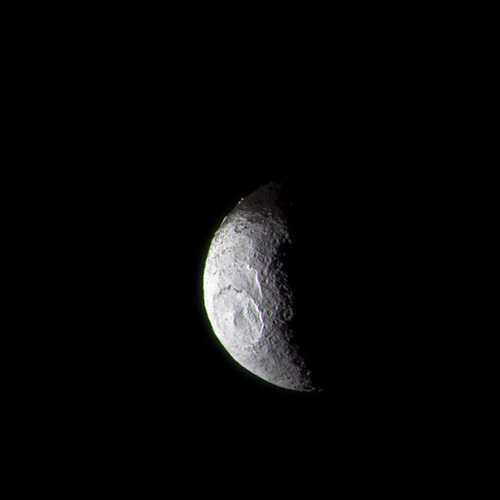 Here’s a color-composite image of Saturn’s two-toned moon Iapetus; its Saturn-facing light side is seen here facing to the lower left. Iapetus is 1,471 km (914 miles) wide. The raw images were taken by the Cassini spacecraft on June 6, 2011 and received on Earth June 8, 2011. The camera was pointing toward Iapetus from approximately 871,021 kilometers (541,227 miles) away. Credit: NASA / JPL / SSI / J. Major.